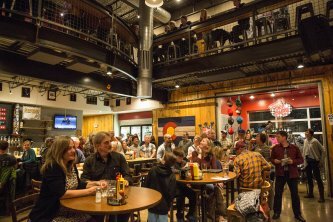 Durango is fueled by its local, independent businesses, which is why we’ve created this alliance of over 250 members in and around La Plata County. When you choose to spend your dollars at these types of businesses, nearly all of that money re-circulates within the local economy, helping our community continue to grow and prosper. 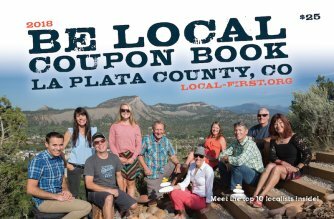 To this end, we produce the annual Be Local Coupon Book, encouraging people like you to make the most of Durango’s network of local businesses. We’re more than just the coupon book, too, and work hard on signature events, like Noel Night and Independents Week, to celebrate our local economy and the tightly-knit businesses that make it unique while providing valuable information and resources for residents, tourists, and qualifying businesses alike. La Plata County, with its rich variety of independent restaurants, grocers, farmers market, and food-based nonprofits, makes it easy to eat local. You can find member restaurants and businesses using our online directory to make sure you’re getting the truly local experience. Plus, you can mark your calendars for the annual Eat Local! Celebration, our month-long campaign to shed light on locally produced food through unique events, special menus, and unbeatable deals. 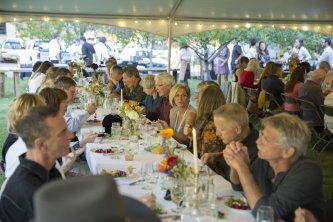 The highlight of the Eat Local Celebration is the Harvest Dinner, which is an intimate 5-course dinner made by local chefs with local ingredients. There are plenty of opportunities to step into action and help strengthen our community. Local First advocates on behalf of our members for an economy that values the environment, people, and prosperity for all. Check out our Act Local work to learn more about the issues we get involved in. Whether you represent a business or want to participate individually, you can become part of Durango’s vibrant localist movement. Qualifying businesses get special access to a list of valuable benefits when they join Local First. From tax deductions to premier advertising opportunities, and so much more, your membership helps you tap into our network of over 240 other business owners. Community members can lend themselves to the cause as well by applying for a job or volunteering for Local First. Check for open positions and become a positive force in this community! Local First's listing has been sponsored by Animas Trading Company, who has been providing affordable Bohemian style for over 25 years ... selling clothing, jewelry, and gifts "For the Free Spirit in You!"